GDPR Has Arrived. What Does This Mean for Online Sellers? The GDPR journey has begun. What are your solution providers doing to help you be compliant? 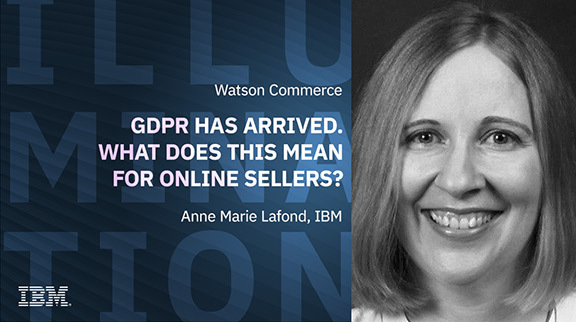 Join this webinar to find out how IBM Watson Commerce helps online sellers meet the new, stringent data privacy standard mandated by Europe’s General Data Protection Regulation that took effect on May 25, 2018.